By David Skolnick | April 21, 2018 at 12:06a.m. A handful of elected officials volunteered their time at the Second Harvest Food Bank of the Mahoning Valley, giving back to the organization that provides food to the hungry in Mahoning, Trumbull and Columbiana counties. The elected officials as well a staff representatives for U.S. Sen. Sherrod Brown, a Cleveland Democrat, and U.S. Rep. Bill Johnson of Marietta, R-6th, took thousands of pounds of loose sweet potatoes Friday and packaged them into 5-pound bags. 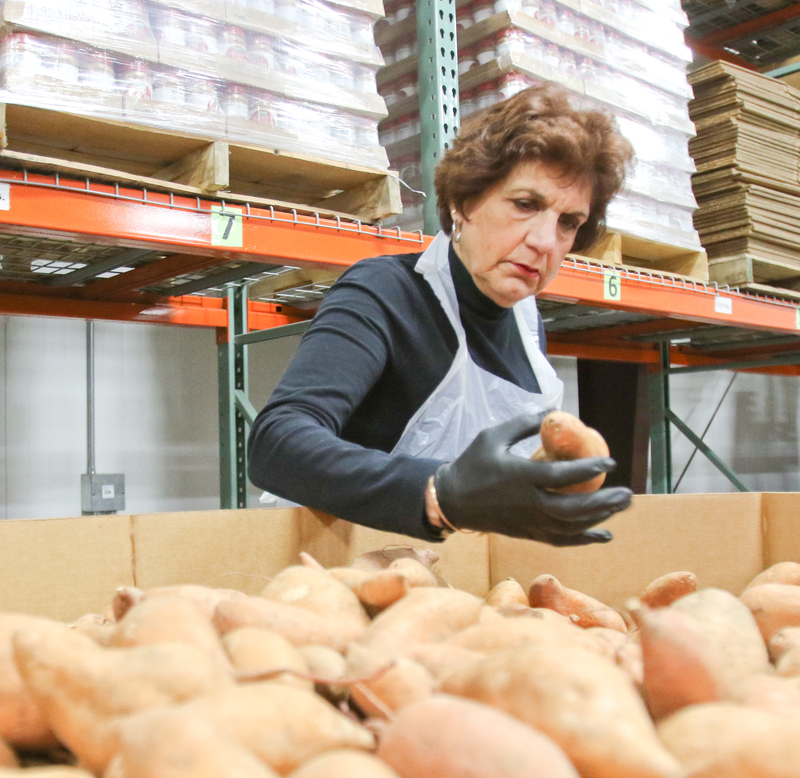 The sweet potatoes and other food is distributed to 150 hunger-relief agencies – including church pantries, homeless shelters, soup kitchens and school pantries – in the three-county area, said Michael Iberis, Second Harvest’s executive director. More than 15,000 people are fed through those agencies a week, he said. Last year, the food bank distributed 10.6 million pounds of food, including more than 3 million pounds of produce, he said. In 2017, volunteers gave more than 13,000 hours at the food bank, Iberis said. This is the first year the food bank had elected officials volunteer. Jordan Pennell, Brown’s Northeast Ohio regional representative, said he was excited to volunteer. “Most of the work is done behind a desk, so it’s nice to roll up your sleeves and get a little dirty,” he said as he grabbed a handful of sweet potatoes. April 20, 2018 3:27 p.m.
July 14, 2012 12:08 a.m.
January 31, 2010 12:08 a.m.